Portnoy is out. Mangini is in. Deal with it. 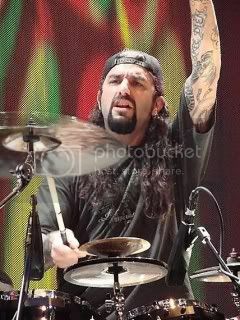 Not to dumb down the situation – drummer Mike Portnoy’s departure from Dream Theater is as shocking an event as Rob Halford ditching Judas Priest and Bruce Dickinson leaving Iron Maiden – but it’s been almost 10 months since he opted to call it quits due to a nasty case of burnout. The internet babble over the hows and whys of his decision continue unabated, there’s plenty of discussion about his replacement, Mike Mangini, and whether or not he’s good enough for the castle that Portnoy built, but the reality is that the band has moved on. Bottom line: the fans should face front and prepare themselves for a bold new chapter in the Dream Theater legacy rather than look back. LaBrie does address the issue of Portnoy wanting to put the band on a lengthy hiatus in order to get his mojo back, and the refusal to do so that led to the drum legend’s unprecedented departure. Portnoy was never “just” the drummer in Dream Theater. 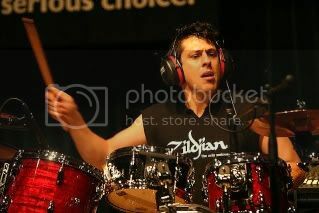 As one of the founding members he was a major creative force, and as the band’s popularity grew, the filter through which most if not all aspects of Dream Theater’s development passed. It stands to reason that the band’s creative dynamics have changed considerably without him in the mix. Slipping into this new groove, says LaBrie, proved to be far easier than one might expect of a band that’s lost a core member. Word has it, however, that Portnoy did in fact change his mind and asked to come back to the fold a few months later. According to LaBrie there wasn’t much soul searching on the band’s part; they refused his “offer” and locked the door. Asked to describe the new album, which is due to surface in September as the aptly titled A Dramatic Turn Of Events, LaBrie feels the new energy in the band has turned out a record that will be embraced wholeheartedly by the fans. As for Mangini putting his signature on the band’s older material – the biggest concern amongst diehard Portnoy supporters – LaBrie admits it’s still a question mark. Chances that the fans will be disappointed are slim to none.